It should not come as surprise that the amount you charge for your product can affect how well it ends up selling. We all know from personal experience how much of our decision to buy something or not can depend primarily on the price of an item. However, as Amazon sellers we need to consider a great number of things when it comes to pricing our products. Anyone selling anything has to put a lot of thought into determining a good price for their products or services. This is only natural. There are more things to focus on while putting a price tag on your product. Amazon has a lot of rules and an algorithm that keeps things in check. It is wise to know those rules and circumstances and to at least attempt to understand the algorithm. By getting all the possible information that we can, we might find opportunities for increasing our sales. Additional information also helps us have a clearer idea of what products we want to source. Here are some things to keep in mind while pricing your product as well as while looking for new products to sell. Your Prime status – By using Amazon FBA you are by default eligible for Prime shipping. By being eligible you naturally have an advantage over other sellers that do their own fulfillment. This makes sense since Amazon wants to encourage people to purchase the 99$ a year prime subscription and will push forward sellers that make having a prime account worthwhile. The product’s condition – Amazon will favor new products over used ones. So even though someone is selling a used product at a lower price than a new one, a new one will always win the Buy Box. This makes perfect sense since it is only expected to assume that someone searching for a certain product prefers a new one. As we know Amazon stops at nothing to make its shoppers happy and doing that means anticipating their needs. Seller feedback – This is an obvious factor that would be relevant to determining who the best seller for a product is. No matter how good the offer might look on paper, if a seller is either irresponsible or provides poor customer service, Amazon’s algorithms will not put that seller forward. It only makes sense that you need to strive to have a mostly positive seller feedback and to work on maintaining it if you hope to secure the Buy Box. The Price – The last and most certainly not the least important factor is the price. It quite simple, the lower the price - the better. 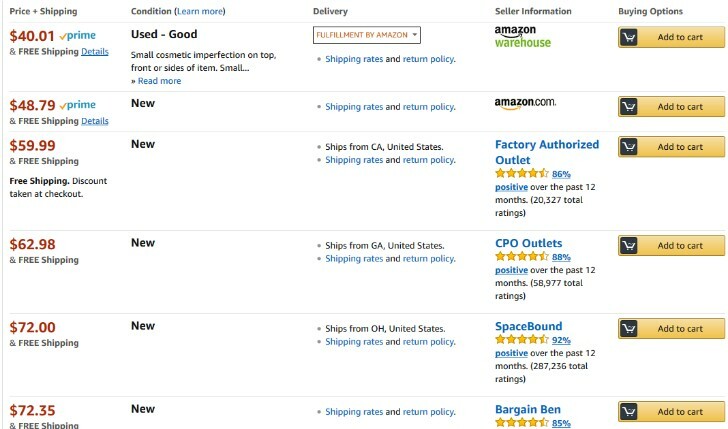 If you are using Amazon FBA and you sell new products with a good customer feedback, having the lowest price guarantees you the Buy Box. Why is this so important? Well if you currently are selling and you do not have the Buy Box it would be wise to reduce the price and to try to obtain it. It creates an enormous advantage and more obviously, an enormous disadvantage if you do not have it. More importantly however, the Buy Box is something a seller considering to source a product should include in their calculations. If you are hoping to source a product that is already selling and you know you will be competing on that listing, you need to calculate your margins and fees carefully. You shouldn’t base them on the current Buy Box price, but on the one you’re willing to lower it to. This is especially important if you are doing retail arbitrage. It is also important to mention that a new seller without any seller feedback can easily have the buy box if they meet the other conditions including the lowest price. - All Amazon prime account holders get free 2-day shipping on any item eligible for prime. - People that do not have a prime account get free shipping on prime eligible items if their cart is $25 or more. A few more relevant pieces to this data: 80 million people have amazon prime account. They make up around 63% of total Amazon users. 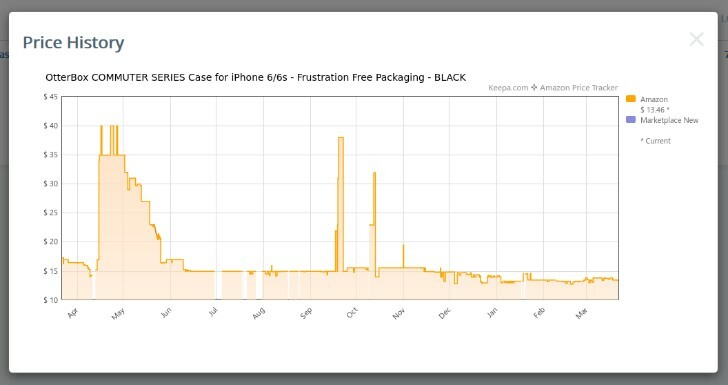 Amazon prime users also spend around 4.3 times more on Amazon than their counterparts. This information is relevant because if you are an FBA seller, your interest lies very much in line with the prime account holders. They get all the benefits they can possibly have with your product. As important as they are, 37% of Amazon shoppers are not prime users and there’s nothing more you can do to be more appealing to prime users since they will already be getting prime benefits. Seeing how you can be more appealing to non-prime users might be a way of getting more sales. This information can be useful for both people looking for a new product to sell, as well as a number of people that are currently selling. If you are in the process of looking for a new product to source, you should consider sourcing products that you intend to sell at $25 or more to appeal to both prime and non-prime users. It might be a very relevant factor that your product comes with free shipping and it can have a severe impact on your sales in the future. It works the same for a customer looking to buy off of Amazon. If you are selling already and you have a product that is priced right below the price mark of $25, you might want to consider raising the price just over the mark. It is very common behavior for non-prime shoppers to simply buy a $27 item rather than a $24 item since in the first instance they have free shipping. The standard shipping fee (around $5) makes all the difference to them. So if you have a product that’s priced just below $25, it would be wise to go through your orders and to see what percentage of your customers are prime users. If the percentage is extremely high (85-90%), a price raise is something you should definitely consider. - The Buy Box battle – As mentioned earlier having the lowest price on a listing helps you get the buy box and the advantage that comes with it. You might be thinking that since you are a private label seller and you are the only one, you don’t need to worry about it. True, being a private label seller means that you are selling a unique product. However, at some point someone else might start selling your product as well. It is the highest form of flattery and the greatest source of frustration for an Amazon seller. Before you reach the unfortunate point where you cannot possibly lower the price anymore, you need to have a plan for it made in advanced. Of course sometimes you will come across hijackers that will “sell your product” at a much lower price, in which case you can report them and it will get resolved. - The discounts and the lightning deals – Knowing your break even price is very useful once you try and climb higher in the ranking by either using some kind of coupons with redeemable codes, or starting a lighting deal on your product. In these situations, the shoppers expect to have a substantial discount, at the very least 40%. Both your maximum and minimum price have an impact on your ability to implement these deals and discounts. This is where your maximum price should be. 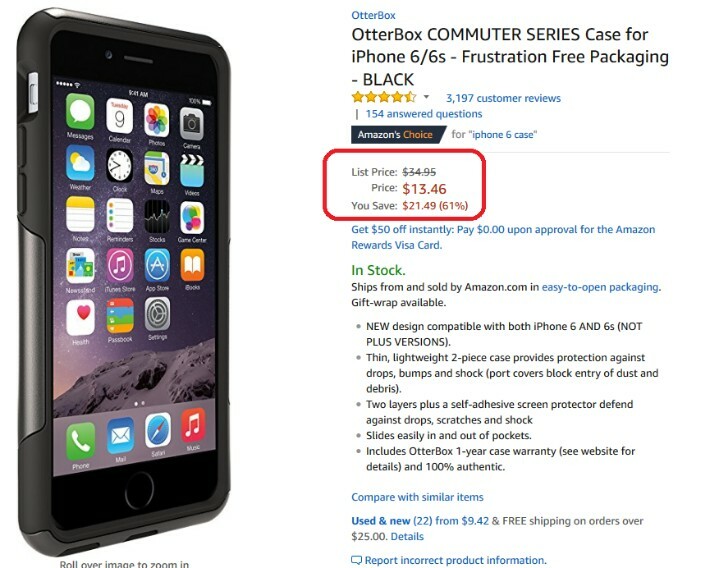 You want people to see it and think that it is not unreasonable that the product used to cost that much and that the current price is a good deal. It is also a good idea to occasionally experiment with that price and to see if your assumption is actually reasonable. You might even surprise yourself in a rise of sales with a higher price. Some products might actually seem like they are of higher quality if you have a higher price tag on them. - The discounts and the lightning deals – The same as with your breakeven price, you should be able to use your maximum price as the price point that you base your discount on. If you raise the nominal price to your maximum price and offer a discount on that, it would look much better. For example: if your nominal price is $30 and your break even and maximum price are $18 and $45 you can either offer a 40% discount on $30 item or a 60% discount on a $45 item. This graph was acquired using AMZscout product database and it provides some useful insights. It is important to know what to expect with a product and what sort of fluctuations you can expect at different times of the year. A good Amazon seller should take in as many factors as possible while pricing their product. There are many changes that can happen, as well as many different strategies to try out. For each and every one of those scenarios and strategies, your products price will play a role. Especially if you are in the process of souring your first product, you need to be aware of all the different factors that come into your pricing equation. You cannot afford to find yourself in a situation where your profitable idea turns out to be a non profitable one due to lack of information. If you wish to be a smart and a successful Amazon seller you should always keep that in mind.